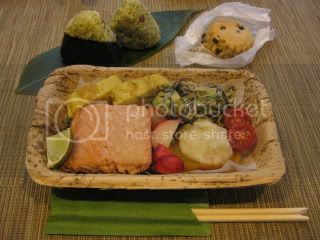 HAPPY DONABE LIFE - Mrs. Donabe's Rustic Japanese Kitchen: Bento week...with Donabe "onigiri" rice balls! Both physically and mentally, my entire week has been spent on the bento project for the 3-day trunk show happening this week, and I haven't had a chance to update blog or even do casual email past days. 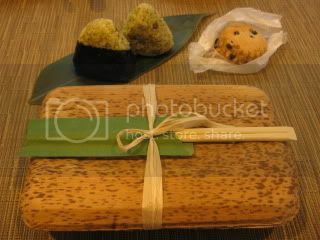 Nevertheless, I've been having a blast making bento boxes! I will update all the photos once the event is over and I have a chance. Past days, as I got new bamboo skin bento boxes, I've been trying to get a good feel of it by serving almost every meal in it. This picture is not exactly the same menu as what I'm serving at the trunk show, but it's what I had a few days ago. Roasted amazake-marinated salmon was superb. 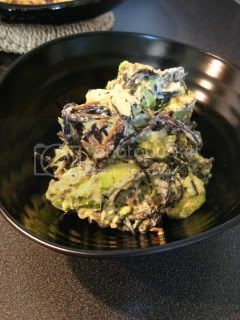 One of the side dishes in the bento box was a salad of hijiki, sun-dried enoki mushrooms (they were simmered together in donabe and cooked down), tossed with avocado in my whimsical tofu "mayonnaise" (pureed tofu, roasted pistachio, amazake, brown rice vinegar, shio-koji, and avocado-blood orange oil). I also made dashi-maki tamago (fluffy omelet), and roasted beets, topped with pureed roasted fennel. 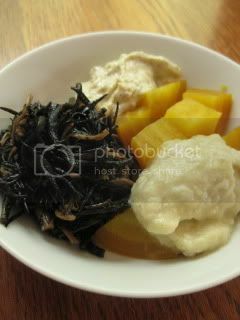 The above picture on the right is the "deconstructed" version of hijiki, tofu "mayo", golden beets and pureed fennel, I quickly plated when I was just too busy. These are very my kind of "shojin" (temple-style vegan) dishes. A night before the actual bento service, I was so busy doing all the prep work. 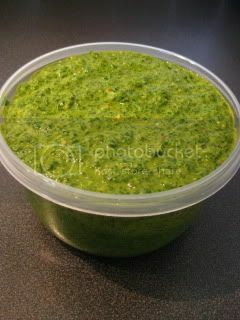 I made a huge batch of Yuzu-kosho & basil pesto for onigiri (rice balls). 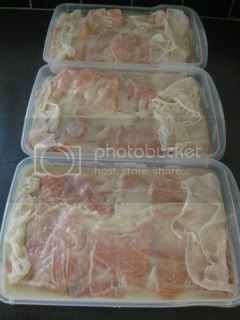 I also cut the salmon and marinated in my home-fermented amazake. Actual bento photos will follow soon. Happy healthy life. Happy donabe life.